Bought Bluetooth Xtool iOBD2 BMW Scan tool iPhone iPad. It’s a neat tool; it plugs into the OBD port and creates a WiFi network. There’s an iPhone app that serves as the front end. It reads all of the modules, decodes the BMW specific faults and resets them. It has a real time mode to show what’s up with the engine running. I don’t need to guess what my VANOS is up to. There is a generic OBD2 scanner for iPhone and Android and separate versions for VW/Audi and BMW. The BMW version only works on iOS devices (iPhone/iPad, etc), the generic version works on Android. 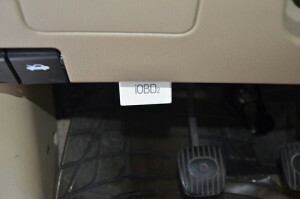 The BMW version will also serve as a generic OBD2 scanner if you have other vehicles. How to use and download the APP on Xtool iOBD2 BMW Scan tool iPhone iPad? You need the little IOBD2 interface thing that plugs into the car and then to download an app on your tablet/phone (website or AppStore). I had to download the BMW app AND the generic OBD2 apps; the directions were vague on this. I’ve been using this tool for a few months now. It has some bugs, but for the most part, it works Ok. I can check the status of all sorts of stuff in real time (is the brake pedal depressed, is the AC on, is the sunroof open, etc). It reads all fault codes, by system, by module and will reset error codes, not just the powertrain stuff like a Peake tool, it will reset faults in other modules as well. The neat feature is the live data feed. For example, I read one of the body modules and it told me in real time if the brake pedal switch was being depressed or not. You can drive the car in this mode and it will record the settings and save them as history (a snapshot, you have to press a button to save point in time data, but you can save multiple snapshots). Want to know the radiator inlet and outlet water temps? VANOS intake and exhaust cam positions? It will tell you in real time. It was a little more than the Peake tool, but I like the fact that is speaks English (mostly, there are a couple of screen labels in the saved history that appear in Chinese for some reason, but I can live with that). I do not think it will allow you to alter or “code” specific modules to fiddle around with settings; stuff like turning on the DRLs, or changing the behavior of the locks – stuff the dealer sets when you take delivery. Or if it can, I haven’t figured out how, lol. Run the BMW-specific app. Choose the BMW icon. Then choose Connection->Bluetooth and try to pair that way. I think the app needs to initialize the IOBD2 BMW interface, then you can pair/whatever using the phone.